Honesty. Integrity. Trustworthy. Since 2004. Do you need a professional to help repair or replace a faulty shut off valve? Let Genesis Plumbing do the work. In many cases, especially if the valve is older it’s better to replace with a modern valve which is much higher quality. Call Genesis Plumbing today for a free estimate. It’s vitally important to make sure that the pipes are always working properly in your home. If your piping system gets too old and starts to break down, it can quickly cause lots of damages well as unhealthy and unhygienic conditions. We at Genesis Plumbing are just the right guys when it comes to providing whole house repiping services in Port, St. Lucie at the most reasonable prices. Our team of professionals will ensure that that your pipes are in top condition and always running smoothly. If your home is more than 60 years old, and you see signs of sporadic leaks, rusty colored water or low water pressure then it may be time to repipe the whole house. And are just the right company when it comes to repiping a house in Port, St. Lucie. While the process of repiping a whole home can be a massive undertaking, we are known for making the process of whole house repiping smooth and easy. We make sure that we work within the schedule of our clients in a timely manner, ensuring as little disruption as we can. With such a major project it’s important to find a team that can handle it professionally and with care. Genesis Plumbing has the skills and experience to repipe your whole home correctly and on time. In addition to our overall bathroom plumbing services, we will also remove and replace shower bases. Facing a problem in your tub or renovating your bathroom? We can help you remove your old tub and install a new one in no time. Let our professional staff of expert plumbers at Genesis Plumbing take care of it. Call us today for a free estimate. Do you feel that the bathtub is taking away from the visual appeal of your bathroom? If you are remodeling or renovating and looking to upgrade your bathroom then we at Genesis Plumbing are the right choice for bathtub replacement services in Port, St Lucie. Our team of plumbing professionals in St. Lucie are the most reliable when it comes to work ethics, customer support and customer satisfaction. We believe in exceeding our customer’s satisfaction and for that, we carefully observe that what do they want and what are their needs and concerns. 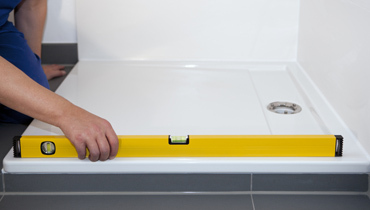 What we do is that we make sure that your stylish new tub is installed properly with no problems. Your brand-new tub will not only look great, but it will also add real value to your home. There is a wide variety of different tubs for you to choose from, which means pretty much every person can find a style that fits their wants, needs, and budget. Speak to us when you want to add an impressive new bathtub to your home. When it comes to bathtub replacement and bathtub installation services in Port, St. Lucie then Genesis Plumbing is the right option to choose. Is your water heater broken and needs to be repaired? We all know that hot water is very crucial and plays a significant role in every person’s daily life. Without it, our lives can get significantly disrupted. And with a broken heater there is always a fear of water leakage as well. That’s when it becomes necessary to hire a professional to help with the process of repairing and fixing the water heater. Look no further than Genesis Plumbing. Our main goal is to take care of our clients in the most genuine way possible. Since the beginning of Genesis Plumbing, it has always been our main focus to achieve customer satisfaction in every possible scenario. And it’s because of this that Genesis Plumbing has come across as one of the leaders in the plumbing industry. If you are looking for affordable water heater replacement or water heater installation in Port, St.Lucie then we are your best bet! We at Genesis Plumbing have a team of professional experts who work with an innovative mindset of satisfying the customers to their fullest extent and needs. So, if you are looking for water heater repair service in Port St. Lucie then our team of plumbing professionals won’t leave any stone unturned in providing the customer experience to you. Our water heater repair technicians are licensed, insured for your peace of mind. Whether you need a small repair or a complete replacement. 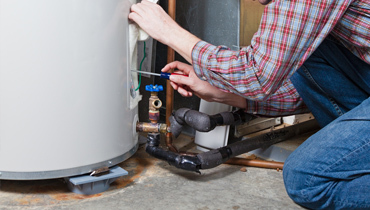 We can help as we provide satisfactory water heater repair services in Port, St. Lucie. Do you need a water heater replacement? When a heater starts to get old, it can become less energy efficient and cost a lot more to operate. You may actually save more money in the long run by replacing your water heater. Call Genesis Plumbing today to get an estimate for water heater replacement in Port St. Lucie. Another reason to replace your heater is simply when it stops functioning. Let Genesis Plumbing help you through this stressful situation. We can guide you through purchasing a new heater and get it installed so you can be back up and running as quickly as possible. See some of our options below. Tank water heaters; natural gas, propane gas, electric. To name a few Bradford White, Rheem, AO Smith. Tankless water heaters; natural gas, propane gas, electric. To name a few Rinnai, Eemax, Noritz, Navien, Stiebel Eltron, Rheem, AO Smith. Point of use electric water heaters. Call our team today at 772-337-3682. We offer free estimates. When the sewage system in your home gets clogged it can cause huge problems resulting in unhygienic conditions and property damage. Sewage backups can be caused by a variety of reasons including hair brushes, too much toilet paper, socks and even face cloths, corroded pipes and more. Apart from this heavy rains can also be a cause of clogging and can be very harmful for the plumbing equipment. If you are experiencing sewer problems, and want quality plumbing services then look no further than Genesis Plumbing. 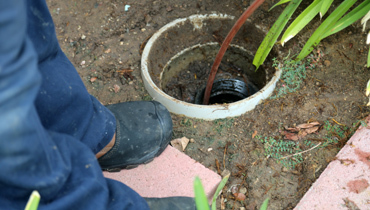 We are experts when it comes to fixing sewage backup in Port, St. Lucie. Broken sewer lines can be a gigantic problem. Not only are they unsightly but they can cause major damage and can also be a health hazard. Genesis Plumbing has the technology and the talent to fix sewer line problems quickly and professionally. If you are looking for best sewage cleanup company in St. Lucie then Genesis Plumbing is the choice you can trust on. Video cameras have become one of the most valuable tools in the plumbing business. Specially made waterproof cameras allow for a visual inspection of sewer lines and other pipes that are underground, in cement and under your home’s foundation. 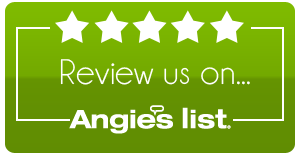 This makes us stand apart from our competitors when it comes to drain cleaning in Port, St. Lucie. Jetting is the utilization of high water pressure sent in through your pipes to clean out clogs, such as grease, sand and sludge build up. The mini-jets are threaded deep into the sewer pipe and or drain on a thin water line, which dispenses an intense blast of hot water, compared to knife-like pressure up to 4000 p.s.i. This helps deteriorate blockage, which can occur by tree roots or the aforementioned clogs. We provide the best sewage and drain services in Port, St. Lucie. To keep your property safe and sanitary, give us a call today to schedule service. 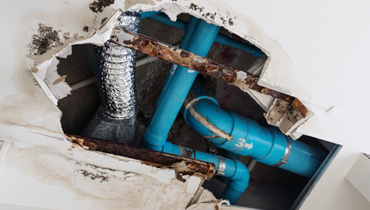 Is there a water leak in your home? 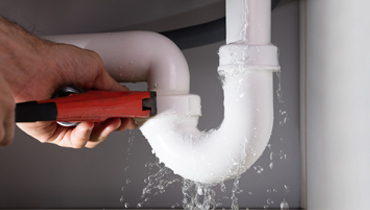 If so, then we at Genesis Plumbing offer reliable leak repair services in St. Lucie to our clients. We provide fast, safe, easy and affordable plumbing solutions as per our client’s needs and concerns. 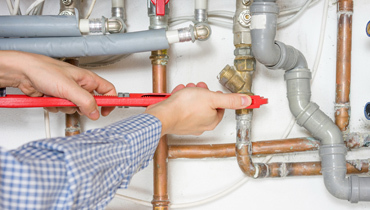 Our team of professional plumbing experts and quality technicians use the most advanced processes and methods when it comes to fixing, repairing, locating and identifying the problem in the right way. It helps you save your time and money preventing any kind of damage to your home. Because of this, our customers can rely on us when it comes to authentic plumbing services in Port, St. Lucie. Generally, when the water lines which are running below the concrete foundation starts leaking then we can say that a slab leak has developed. Such leaks might be quite damaging. But not with Genesis Plumbing! To detect a leak, our professionals watch out for the signs of any damage such as minor cracks in the pipes or the floor then work on it depending on the damage and the given conditions. Our plumbers at Genesis Plumbing, are quite well-trained to easily identify the leaks – doesn’t matter if they are in the slab or the walls. We also make sure to keep our rates and prices very reliable. You would need a quick service in case of slab leak detection and that is what we believing in provide to our clients. At Genesis plumbing, our expert team of plumbers leaves no stone unturned in fully-satisfying our customers in every possible way. Our technicians work with the main focus of swiftly detecting the problem and coming out with its solution in the most quick manner possible. So, if you are also going through some problem then we at Genesis Plumbing can provide you with the best slab leak repair services in St. Lucie west. Water leaks can be quite irritating and to know from exactly where the leak is happening can be a daunting task for the home owner, especially if the signs are minor and acute. To know that there is indeed some issue requires a certain sense of acute eye and our plumbers are specifically trained in doing so. If you can hear water running when nothing is switched on. See if the water meter is moving even when everything is switched off. See if you notice any significant changes in the water bill. If there is low water pressure in your home. If you are facing such issues simply give us a call today find and get quality leak repair in Port, St. Lucie. There is no doubt that any kind of leakage in your home sinks or faucets can be extremely irritating. And if you are going through any such an issue then we at Genesis Plumbing services provide you with the most affordable plumbing services in Port, St. Lucie. The modern sinks are available in every budget and for every kind of lifestyle suitable for glamour and a certain kind of neat aura to the whole bathroom. And as everything else, sinks at our homes also need their repair, maintenance and fixing from time to time. And most of the sink repairs are kind of easily fixable. But however, there are certain issues which require the guidance of a professional like if the plumbing may require some greasing or sink repair as well. No doubt, that generally there are certain bathroom sinks which can last for many years and even decades. But sometimes, a reliable and professional experience becomes very necessary. That is where Genesis Plumbing comes into play offering quality plumbing services at affordable rates. 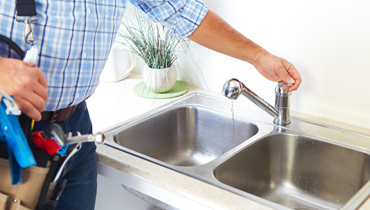 When you have a leaky faucet, all you need to do is call the professionals at Genesis Plumbing Services for for help with sink replacement, unclogging sinks, or sink repairs in Port, St. Lucie. Everyone likes a neat and clean sink in their homes. However, if and when you face a major issue regarding sink disconnection, reconnection and installations and need quality services then our plumbing professionals in St. Lucie West are one of the most trusted sources of doing so. Sometimes it may happen so that you need to remove a sink for some rebuilding for your kitchen or perhaps for some place where your sink is. And such a process might require disconnecting work. If you are looking for sink disconnection services then all you need to do is give us a call right away. Sink reconnection services are very closely related with sink disconnection. If you are going through some minor or perhaps even major construction work regarding plumbing then there are great chances that you will be requiring plumbing professional who could disconnect and then reconnect your sink as well. After reconnection the process of properly installing the sink needs to be done which will also require qualified plumbing professionals. If you are looking for reliable sink installation services then simply get in touch with us and know what a good and satisfying plumbing work means. We install kitchen sinks; stainless steel, cast iron, granite composite. Whichever sink you choose they come in all designs; single bowl or double bowl. We would normally install China or steel material for a 4″ spread faucet or an 8″ spread faucet. However, with granite tops, the single hole bathroom faucet is becoming very popular. 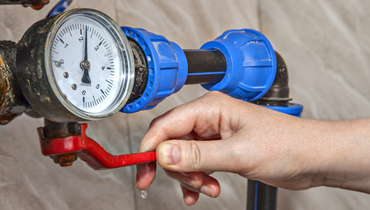 Our plumbers ensure that we provide our customers with the most reliable plumbing services. At Genesis Plumbing services we make sure that our customers are satisfied and work tirelessly with until they are with the aim of providing the best customer-centric experience to them. And that is what makes the whole experience quite amazing. Our working mindset and ethics with which we put out the work out there has helped us till now to build our reputation and good will. And that is what we work towards in a dedicated manner in the present as well offering the best sink replacement services. 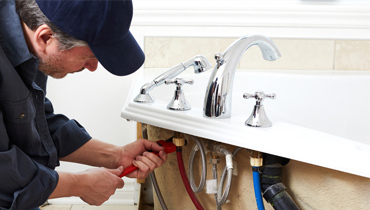 We have a brilliant reputation of being one of the best plumbing service provider in Port, St.lucie. At Genesis Plumbing, our team of experts always reach on time maintaining the reputation of our company. For us customer service and customer support are always on high priority. We always believe in If you need any plumbing services then our professional plumbers in Genesis are always eager to help you. We can help fix the backups and clogs. We service all makes and models and can get your disposal running like new or replace it with a brand new one. 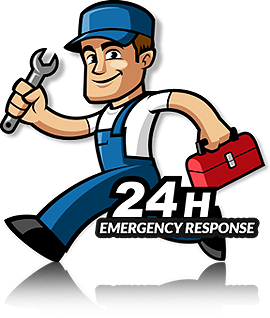 Our professional well-trained technicians make sure that our customer’s requests gets fixed fast and on time and in the safest way possible. We have worked on just about every brand and model of garbage disposal. And if it’s no longer working properly we help you with affordable garbage disposal installation in St. Lucie West. Everyone wants a prolonged life for their garbage disposal. 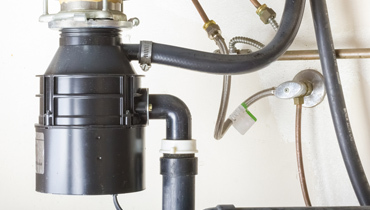 These fundamental garbage disposal tips might help you in knowing exactly what to do. Firstly, it’s important to avoid starchy and fibrous food like potato peelings, rice or even pasta. Also avoid putting coffee grounds and eggshells in the disposal. Keep the garbage disposal machine as clean and fresh as you can and make sure that you rinse it properly with a hot running water.